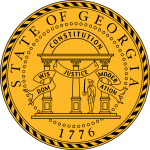 Georgia Deed Forms are legal documents that serve as the evidence by which a Grantor (seller), transfers their portion of the interest of the property, to the Grantee. 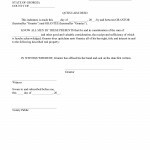 The possession of title to a parcel of land. 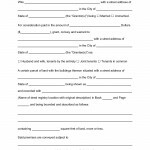 shall entitle the Grantee all legal rights to the land. Depending upon the warranty used will decide the safety of the transaction. There are titles that offer little or no warranty at all. The Grantee should cautiously review the document in which the property will be transferred, depending upon their situation and their interest in how the property will be used. 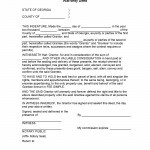 When the document is completed, the signatories will be required to provide all signatures before a notary public.